Since Easter is coming up, I thought I’d share a beautiful legend that always comes to my mind this time of year. The legend behind the dogwood trees. Some of ya’ll may have heard it, but perhaps you don’t know some of the other history behind the tree. 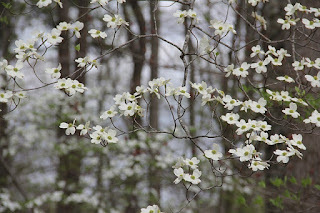 Down South, the Dogwood Trees are a symbol of Spring. There are festivals every year that celebrate Spring and the blooming of the dogwood tree. In fact, three states have honored the tree with state plant status. The dogwood is the state tree of Missouri, the state flower of North Carolina, and Virginia loved it so much that it is actually their state flower AND state tree. In the mid 1500’s, the trees were known in Europe as the dagwood, because the small stems were used for dags, daggers, arrows or skewers. Later, around 1615, the name was changed to dogwood. No one knows for sure why the name changed from dagwood to dogwood. Perhaps it was a pronunciation thing. Or perhaps it was because the tree sometimes made the sound of a dog barking when the branches knocked together in the wind. Or perhaps it was due to the medicinal properties of the bark, that were often used to treat mange in dogs. 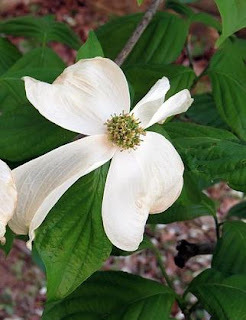 The native Americans used the dogwoods for many purposes, including medicines and dyes. The tree was seen as masculine, and many of the ceremonies consisted of the males eating their berries. The sap, however, is toxic and was used as a poison amongst the tribes. When the dogwoods bloomed in spring, the Native tribes knew it was time to begin planting. Thomas Jefferson is one of the main reasons that the dogwood tree became popular as an ornamental tree. He loved them and promoted them for landscaping, including many of them in his estate plan at Monticello. Growing up in Colorado, I had never heard of dogwoods until I started volunteering in the rural Ozarks near where my dad was raised. He’s the one that original introduced me to these trees and the beautiful legend behind them. My dad stopped the car beside the road, snapped off a branch and held it out to us as he explained the legend. They are a rather small tree, rough and crooked looking. Around Easter every year, it bursts forth with beautiful, fragrant blooms. These blooms have four petals that look somewhat like a cross. The tips of the petals are unique, looking almost as if they've been imprinted by nails, and having red coloring that almost looks like blood stains. with a crown of thorns at the center. To a towering size with a lovely hue. With cross-shaped blossoms for all to see. And in the blossom's center a thorny crown. Nailed to a cross from a dogwood tree. A reflection to all of My agony." While history tells us that these trees didn’t grow naturally in Palestine, (and therefore would not have been around during the time of Christ) and the legend most likely originated in the early 20th century, the story of the Dogwood Tree is just that…a story. However, it is a fantastic tool for telling others, especially young children, about the story of Jesus’s sacrifice & our redemption. The tree does bear resemblance to the story, which makes it an easy way to share the Gospel. I’ve witnessed my dad sharing it this way many times. So now, when you see the sign of Spring in the Dogwood Tree, remember its Creator, and His love for you. Have you heard the legend of the Dogwood Tree? What other legends have you heard about Christ’s crucifixion? 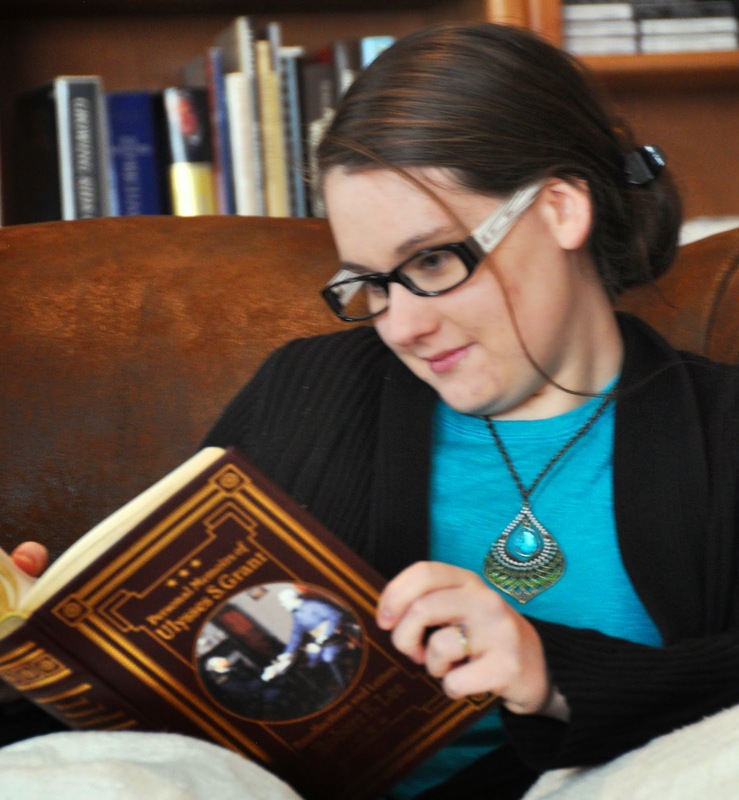 Amber Schamel writes riveting stories that bring HIStory to life. She has a passion for travel, history, books and her Savior. This combination results in what her readers call "historical fiction at its finest". Her title, Dawn of Liberty, was awarded the 2017 CSPA Book of the Year award in Historical Fiction. She lives in Colorado and spends half her time volunteering in the Ozarks. Amber is a proud member of the American Christian Fiction Writers Association. Visit her online at www.AmberSchamel.com/ and download a FREE story by subscribing to her Newsletter! I have heard of it, but had forgotten the details. I think there is something about a Passion Flower as well. Thanks for the reminder! Happy almost spring! Happy almost Spring to you too. 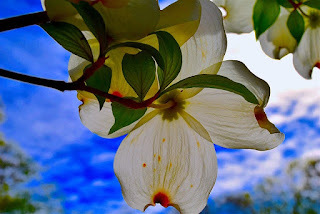 I love the dogwood tree and its story. Thank you for sharing and I hope you have a great day. I love the dogwood tree. It grows in abundance in East Texas and the country roads have a beautiful display in the Spring. Another legend I love that brings me to tears is the Story of the Three Trees. Not sure if it's an Easter legend, but the third tree was made into the cross. Thanks for sharing about this beautiful tree. Yes, I've heard of the legend of the Three Trees too. What a lovely tale that is. When I moved to Nebraska in the 1970s, I was very saddened to learn from a local nursery that the dogwood tree was not hardy in my new home. Sigh. Since then, a couple of varieties have been developed that can withstand our temperature extremes and I'm hoping to plant one this spring! I adore the blossoms of that tree. As to plants that harken to the crucifixion, an elderly woman from southern Illinois once told me that another name for the red bud teww is the Judas tree, because it blooms but then does not bear fruit. In other words, it betrays those who expect the normal result of blossoms on a tree. Very interesting, Stephanie. Seems like I have heard of a Judas tree, but I think it was rumored that it was the one Judas hung himself on. Not sure if it's the same tree or a different one. So happy you'll get a dogwood this spring! Amber, thank you so much for sharing about the dogwood. Very interesting! Glad you enjoyed it, Melissa! Thanks for coming by. Thank you Amber for sharing about the dogwood tree. It has been awhile since I read about this interesting legend. My pleasure, Tina! Thank you for stopping by HHH. Yes, I have known this legend for most of my life. I have always loved seeing the trees and the unusual flowers.